An innovation cup is an international competition inviting startups to answer to leading corporate and Government entities challenges, creating solutions with market potential. By helping corporate and government buyers address these challenges lucky startups could be in with the chance to win a variety of prizes. Startups from around the world are invited to participate. GITEX Future Stars 2018 hosted four separate innovation cups for startups across the world to compete in. Check out each of them below. Note: Applications to enter the competition will open in 2019. Watch this space! 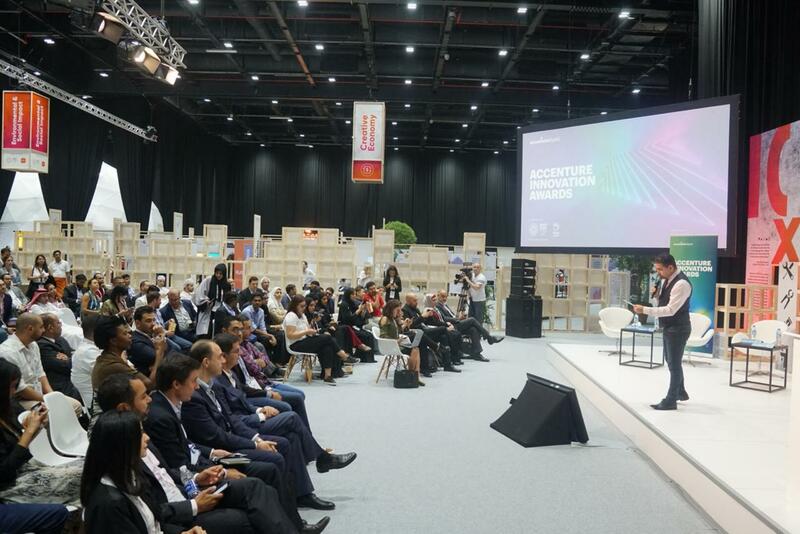 For the second year running, GITEX Future Stars 2018 hosted the Accenture Innovation Awards, in partnership with Expo 2020 Dubai, Fintech Hive at DIFC and Etisalat Digital. This year Accenture challenged startups exhibiting at GFS within the Environmental & Social Impact, AI and FinTech sectors to present their solutions for a chance to win an all-expenses paid trip to Silicon Valley where Accenture executives will arrange for them to meet with key investors! Another former innovation cup host from 2017, Dubai's Department of Tourism and Commerce Marketing (DTCM) held it's second innovation cups in partnership with Atlantis, the Palm Dubai and Emaar Hospitality Group. Twenty startups from around the globe pitched their solutions across AI, AR/VR, Blockchain & Digital Ecosystems to transform the tourism experience in Dubai. 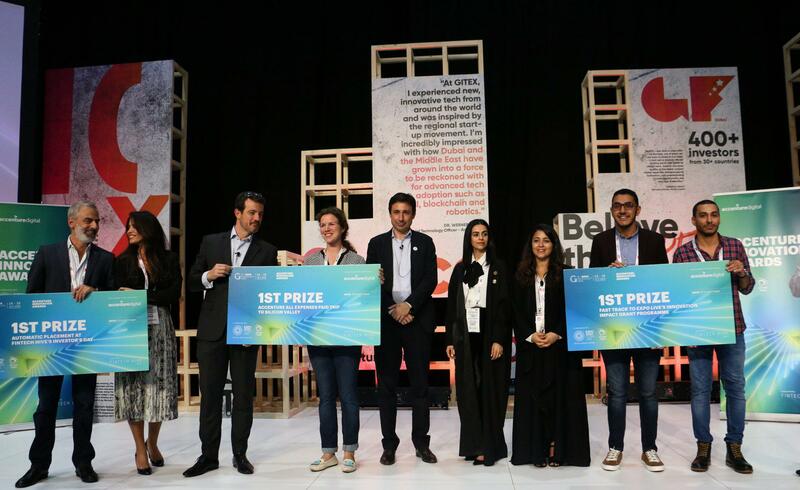 Each winner earned AED 50,000.00 in cash AND entry into a four week innovation lab hosted by DTCM, Emaar & Atlantis! The UAE's national space programme, Mohammed Bin Rashid Space Centre (MBRSC), was on a mission to work with the best space tech startups from around the world. Fifteen lucky shortlisted startup earned FREE PODS to GITEX Future Stars 2018 to exhibit and to pitched to MBRSC on site. First, second and third place earned USD 30,000.00, USD 20,000.00 & USD 10,000.00 in cash! King’s College, a world-renowned teaching hospital from London with over 175 years’ experience, challenged startups to present their solutions designed to improve patient experience and strengthen patient-provider communication. Two startups were selected to be directly incubated in to King's College innovation program!